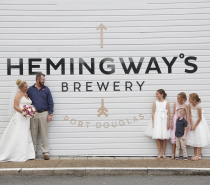 Hemingway's Brewery Port Douglas - Tourism Town - The Tourism Marketplace - Find and book authentic experiences. 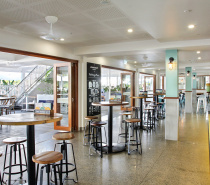 Kids Eat Free @Hemingway's Port Douglas! We know how to make the whole family happy.. 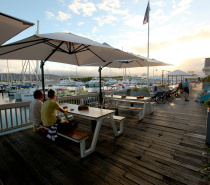 Kids Eat Free from 5 pm to 7 pm every day. One free meal with every main $20 or over. 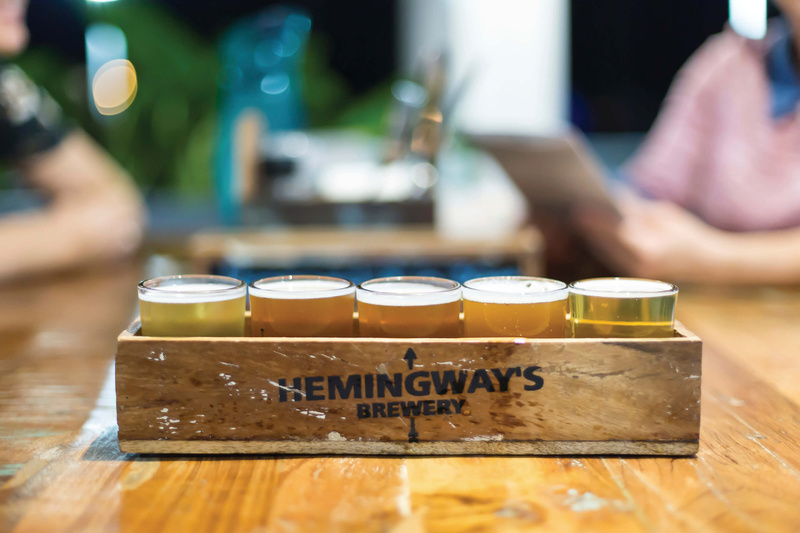 Hemingway's is the first of its kind in Far North Queensland and offers a relaxed vibe where you can enjoy hand crafted beers suited to the tropical climate and fresh, local produce. 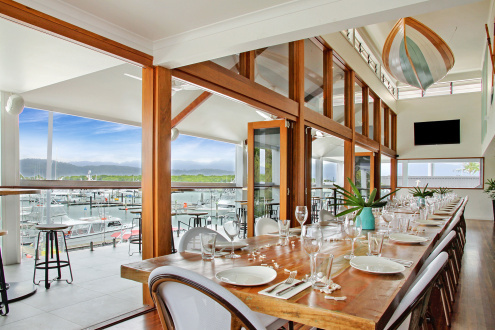 See you for dinner! Book the table now! 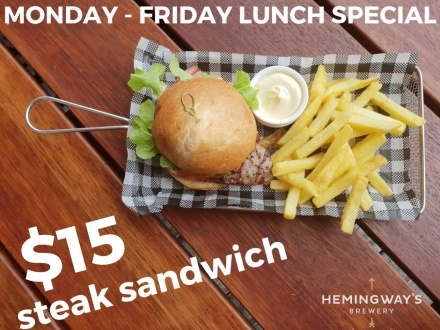 Monday to Friday Lunch Special! 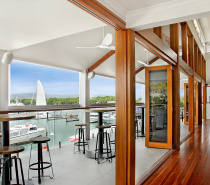 Wet Season Special! 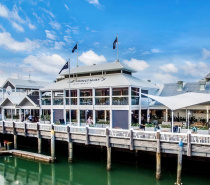 Monday to Friday Lunch Special! Steak sandwich & chips $15 to go perfectly with a Pitchfork Betty's Pale Ale. 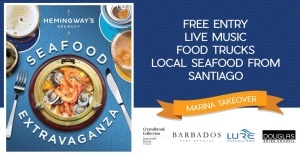 Book your table now! 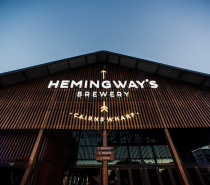 Enjoy a gastronomic experience with a freshly brewed twist at Hemingway’s Brewery. At this Gastro Brewpub, authentic craft beer is developed on site, with each core beer carrying its own fascinating story relating to the area. 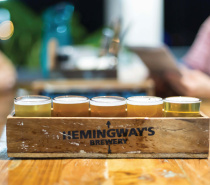 Pair your pint with delicious fresh local produce from a menu designed to complement the tropical climate and soak up the relaxed vibe on offer at Hemingway’s as you admire the waterfront views. 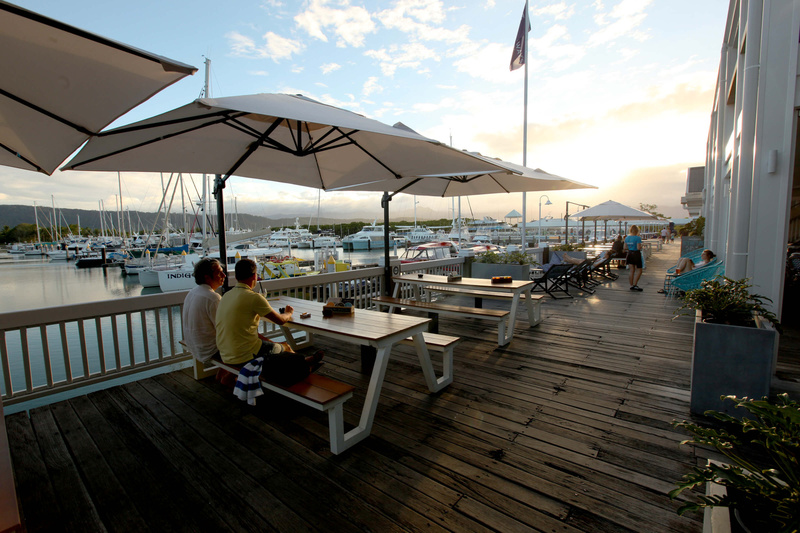 Hemingway's Brewery Port Douglas is the first of our Gastro Brewpubs, situated on the beautiful Crystalbrook Superyacht Marina in Port Douglas. 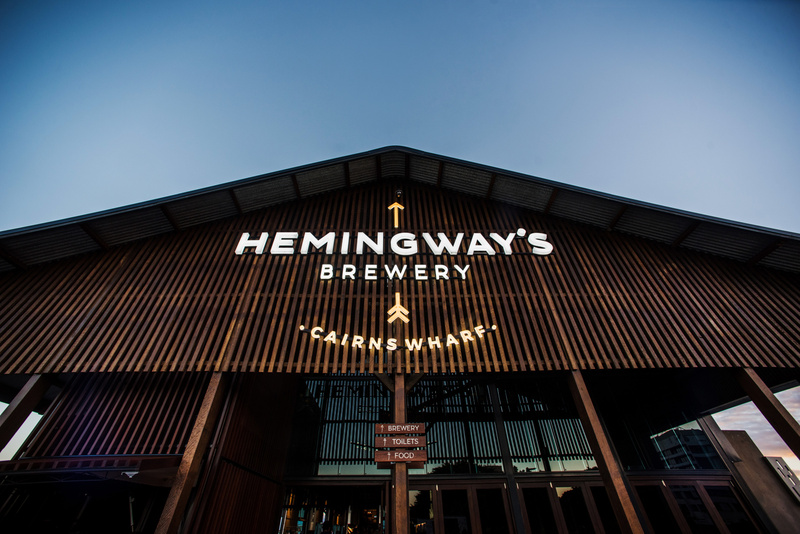 Hemingway's is unique in Far North Queensland and offers a relaxed vibe where you can enjoy hand crafted beers suited to the tropical climate and fresh local produce. 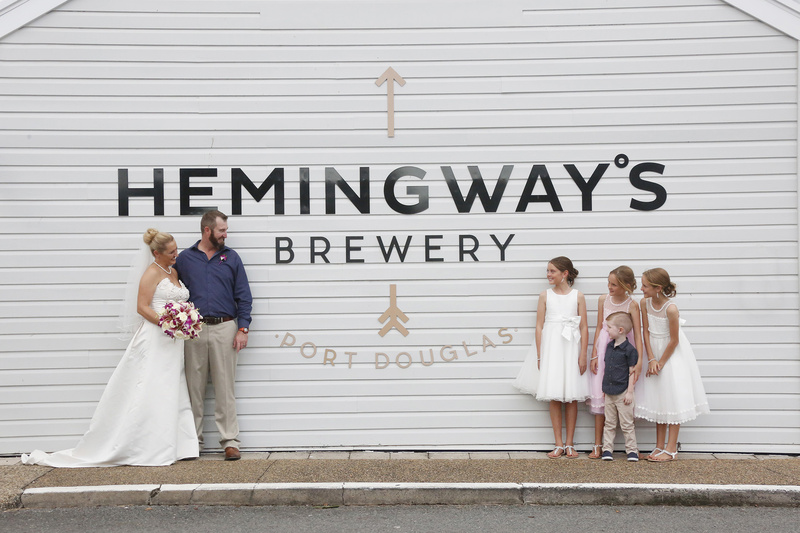 A dedicated function space, Upstairs@Hemingway's, caters to both small and large groups alike for weddings, birthdays, and corporate events. 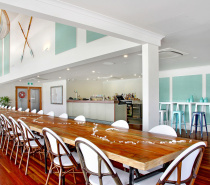 Call us for table bookings of 6 or more people. Less than 6? No problem. 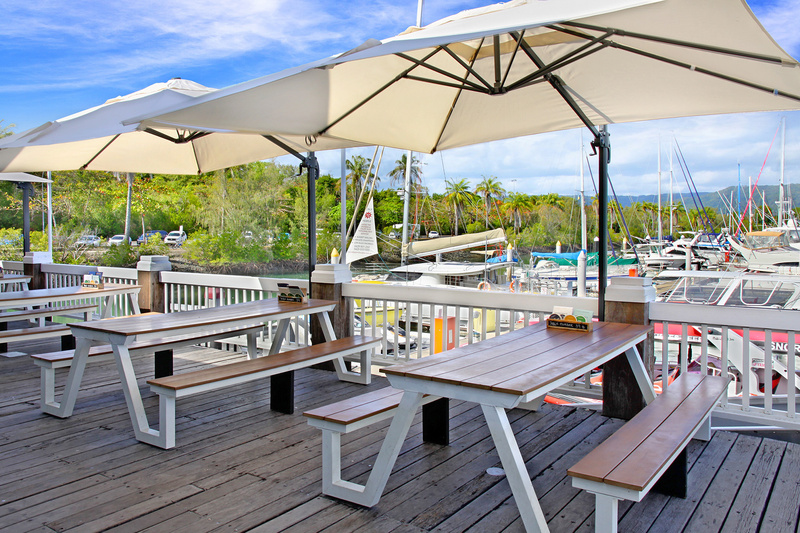 We have plenty of seating available. 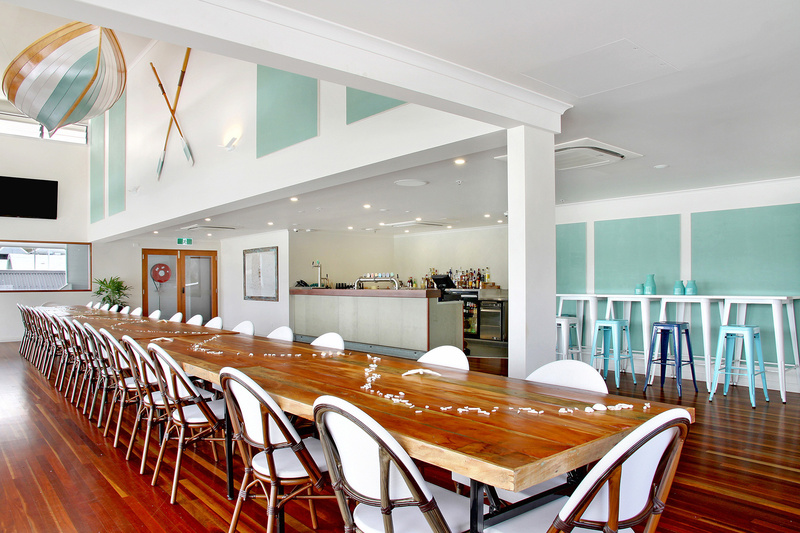 Just rock up, find yourself a seat, relax, enjoy a beer, and soak up the atmosphere. 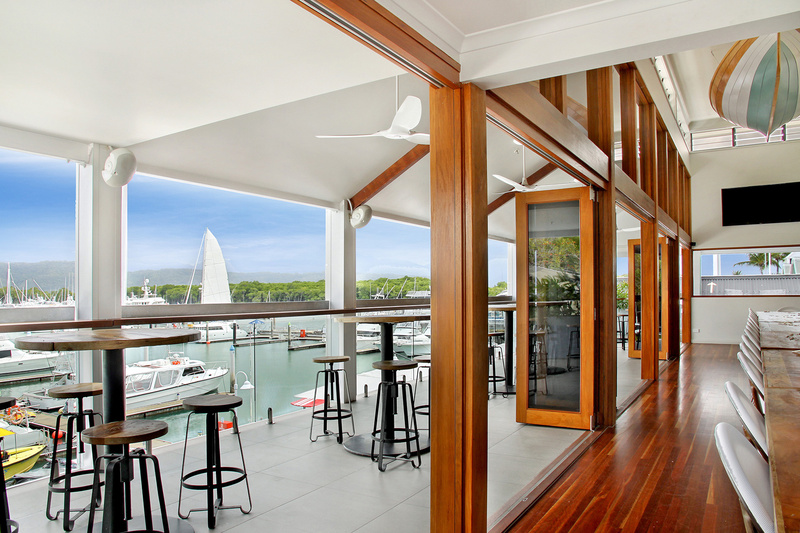 Timber floors inside flow on to the covered deck through bi-fold doors that open up so you can enjoy the tropical breezes or retreat to air-conditioned comfort. 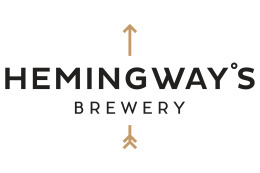 A private bar with all the beers that you love on tap, what better way to enjoy a special occasion than at Upstairs@Hemingwayºs? 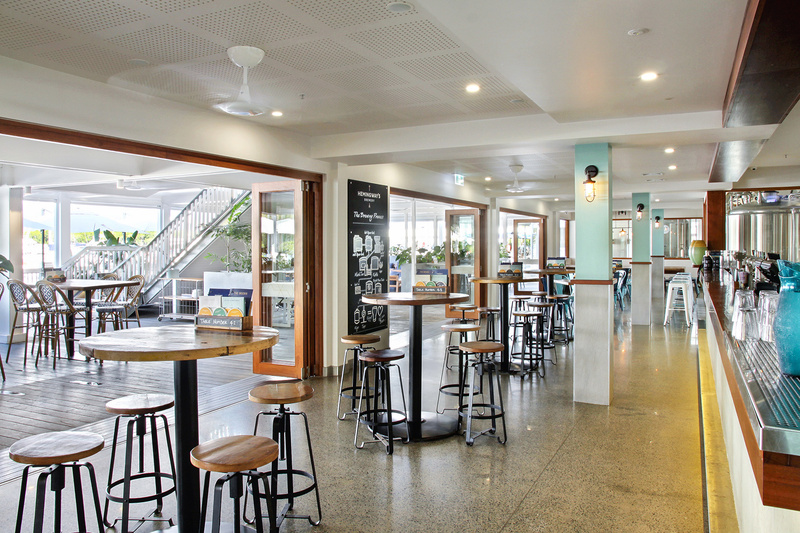 Located on the marina with an iconic laid back Port Douglas feel, we are also the perfect choice for your post wedding recovery party before your guests fly home. 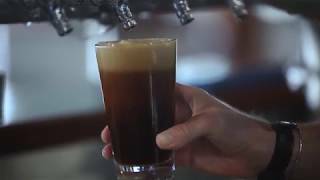 The buyout is the exclusive use of the entire Brewery. 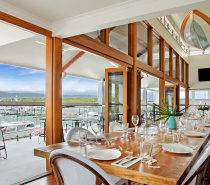 There is no other offsite location in Port Douglas that compares to Hemingway's. 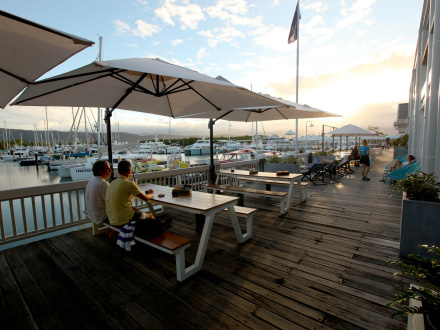 The views, the style, the location, the food and most of all the locally brewed craft beers! 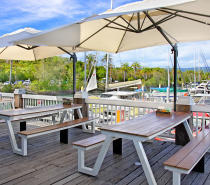 You can party on here until 12 midnight and are only a short coach transfer from your Port Douglas accommodation. 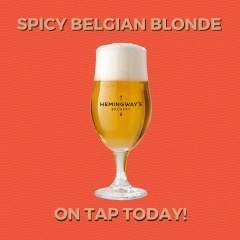 Get your Spicy Belgian Blonde now! 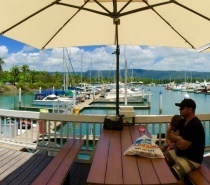 Tapped today in Cairns Wharf & Port Douglas. What is this Spicy Belgian Blonde, you ask? This Belgian Blonde Ale has been made with a prolonged maturation and dry hopping regime which sees this spicy Blonde at its peak condition ready for enjoyment. Phenolic clove and banana character marries with citra hop addition and full body, creating this stunning Blonde which may just steal your heart! Try it while stocks last! 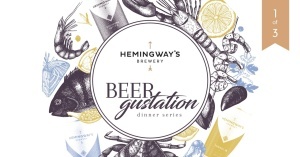 What is a BEERGUSTATION you ask? 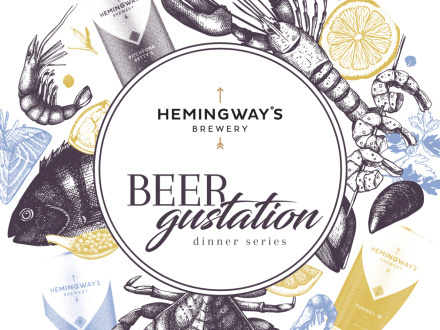 It is a dinner where beer is paired perfectly to match the food. 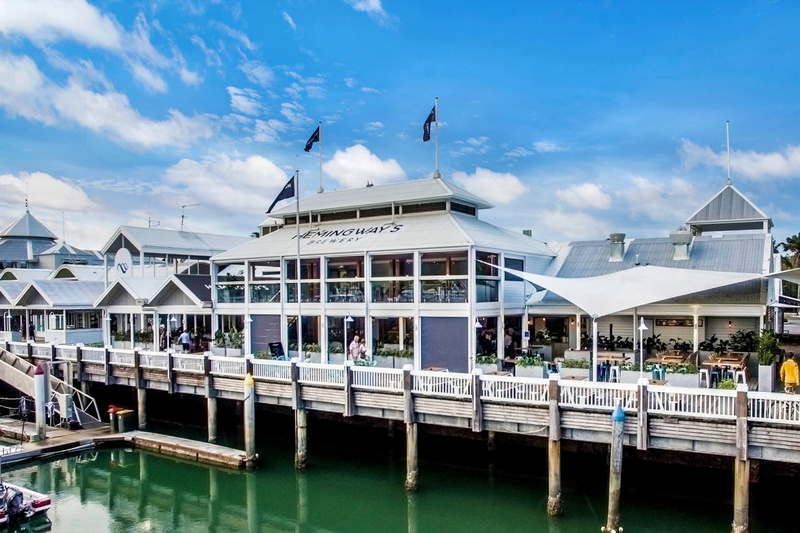 Picture this – the best seafood, free entertainment, a coldie and the most beautiful setting in the world.